UAD-2 Duo, DSP Board from Universal Audio in the UAD-2 PCIe series. 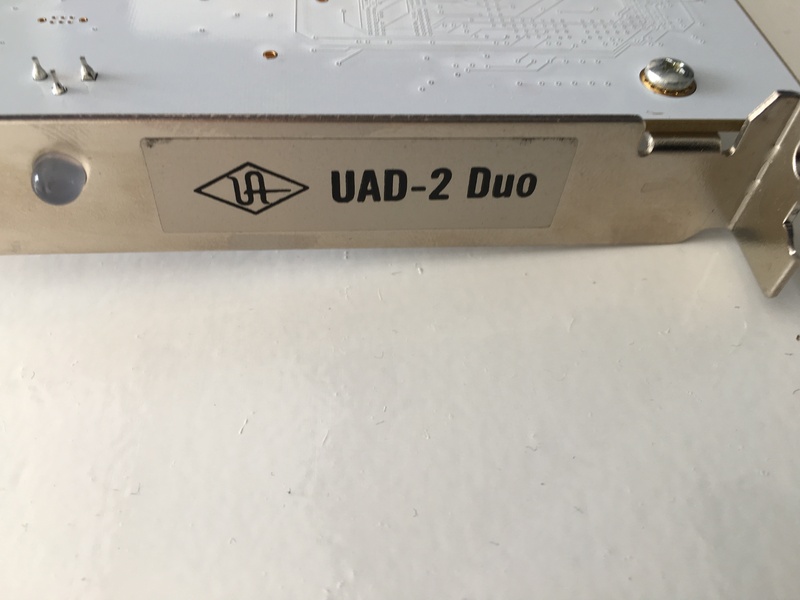 Robin Schneider's review (This content has been automatically translated from French)" Reliable but not given"
The Universal Audio UAD2 Duo card is a PCIe card using two SHARC processors. It is the midrange of UAD2 and is suitable for a project studio that wants to mix some native plugins and UAD2. I use it with a Mac Pro Quad core to the mix of my music projects. I use the plugins UAD2 with Logic Pro and I have no problems when using. I just happened two three times the card is not recognized at boot, which required to remove and replace the card. Since I launched the software automatically at startup, I have never encountered this problem. UAD plugins generate latency, so do not place during the recording sessions, only the mix! 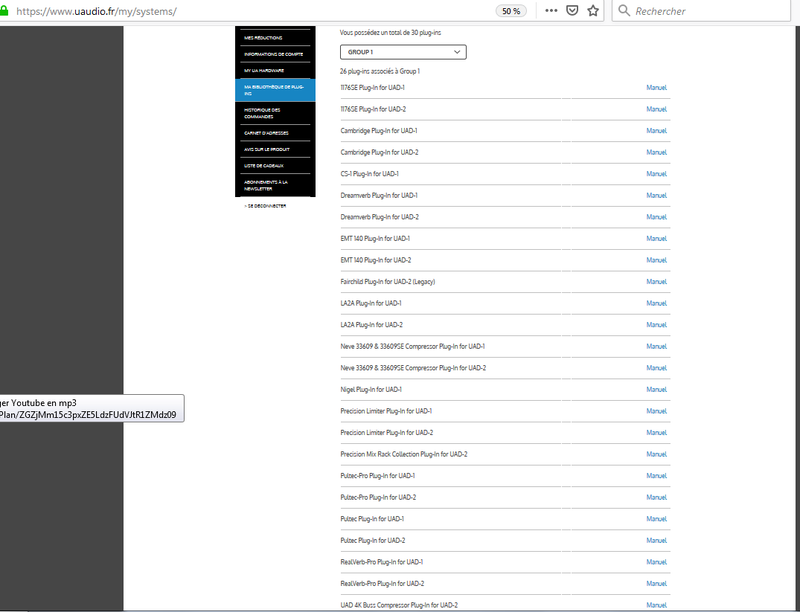 the number of instances possible by plugin is available at DU. I personally am not in need of DSP power to the extent I also possesses good native plugins. But if you're mixing in full DSUs, it may be a little light, it is better to directly invest in a quad. This list of plugins comes largely in a duo card and already allows to obtain very good mix. Alternatively if you already have good native temporal effects, you just buy the slice Neve88Rs and you put one on each track, something to manage 40 stereo tracks without problems. The SSL E slice is also available, but the Duo card into cash that does 22 stereo instances. In both cases, you have a plugin per track with gate, comp, EQ filters and high-quality, enough to mix very well also. Installation is as simple as opening a DMG and then put a PCIe card, then it works alone. In a mac pro is very easy and more. The manual is available online, it is clear and detailed. It's been 8 months since I use it almost daily. Difficult to give an opinion on the card itself, it works very well. The price / quality ratio is excellent for me since I got it for free by buying a LA-610 MKII. 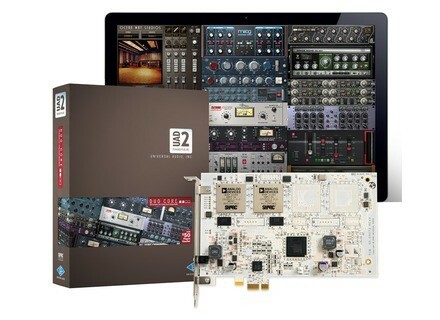 In contrast, nine, this card is an investment, especially if one considers the fact that only five basic plugins (1176LN, LA2A, Pultec, and pro realverb ChannelStrip CS-1) are available. These plugins are great to start, but buying other plugins will quickly become a necessity. The power of the card is sufficient for small sessions. Personally, I used the card primarily for treatment of Bus (Fairchild, Pultec) and for effects (EMT140, EMT250, EP34). The remaining power is allocated to some treatments such as transient designer and LA2A. Feel free to check the number of instances possible for a given plugin instance on the chart from the site of Universal Audio. I also have an Apollo now, the two work perfectly together, which allows me to have all the power I need DSP. I do it again without hesitation that choice with the promotion of LA610, otherwise I would have waited for my apollo directly quad. 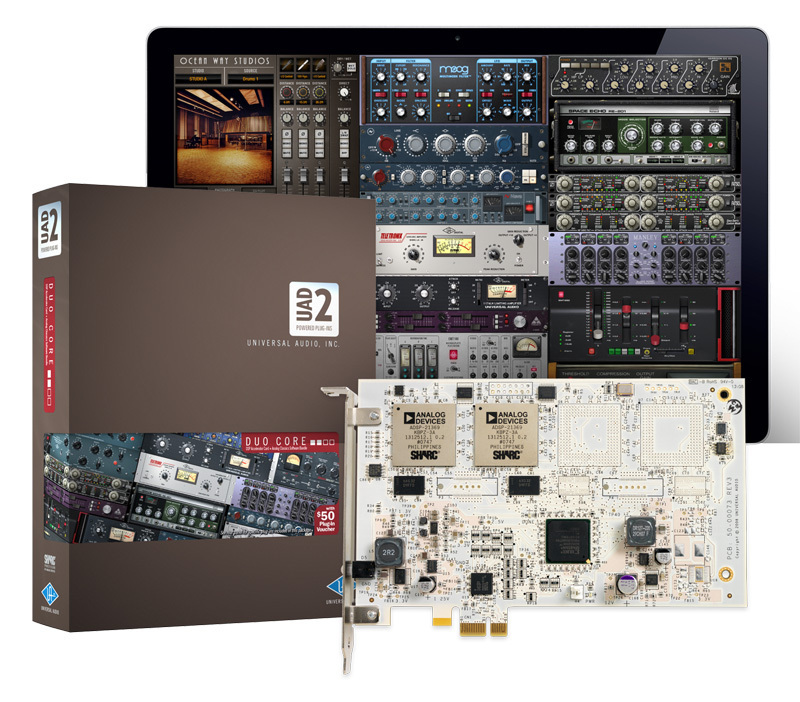 studio2records's review (This content has been automatically translated from French)" The best card dsp?" Mainly used for mixing and mastering a few, means mounted on a pc in 2007 (out of date!). The drivers are super stable. The number of cumulative effect depends on the resources, why we must rely on the UAD website which provides all information (chart instance). The only regret for the implementation of the manual is in English, it must meet the installation procedure (the software first and then the map). Procedure for "authorization" is pretty easy, even when the PC is not connected to the net. I went without worry of the UAD 1 to UAD 2, keeping the card UAD 2 because I have only one port pcie ... the transfer of purchased plugins automatically. The only difference with the UAD 1 is that to run the basic bundle of plug supplied with the card must still be the procedure of "authorization". I use it for almost a week, no revolution because I was already a customer of UAD ... but access to the new plugins, the superior capabilities, quality plugs .... all meant that I do not regret my investment (found in less than 700 euros on the net). Too early to judge the value for money ... but not much competition at this level. rombautsdidier's review (This content has been automatically translated from French)" Recommend"
What attracted me in DSUs, is the multitude of available plugs and still offers regular. I use it mainly for my mixes. Easy installation, the site to register the card and to download the file permission. No need for manual use. I'm at DSU for some years. 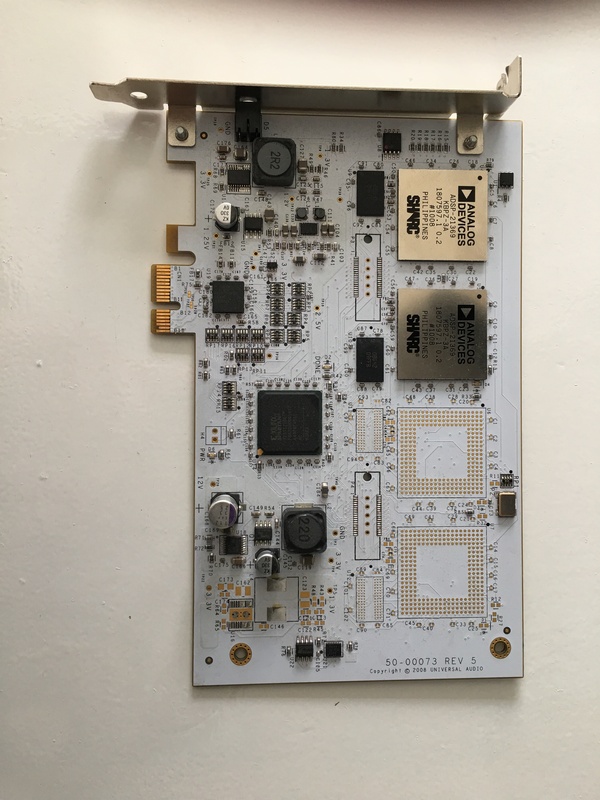 I have been for 2 or 3 years, the proud owner of four UAD-1 cards and the desire to free up space in my Mac Pro as well as having access to the new plugs I was naturally led to the purchase of this card UAD-2 Duo. This card is great, it relieves the CPU of your computer and to manage projects mix with a lot of instances at the same time. A second UAD-2 Duo tempt me well but one is enough for now. very good but since I'm buying Pro Tools HD and I have the same kind of native TDM plug. Universal Audio has launched a new Total Studio Upgrade offer with a free UAD-2 Duo or Satellite if you buy an LA610 MKII channel strip.